Police search for a missing boater off the shore of Ajax, on Thursday, Sept. 9, 2018. 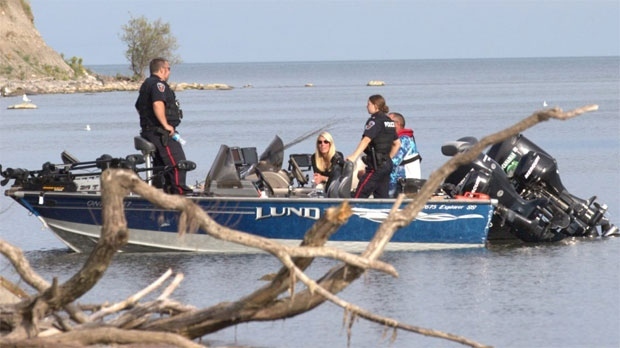 Durham police have called off a search for a boater who went missing off the shore of Rotary Park, in Ajax. Authorities were called to the scene on Thursday afternoon, around 2:56 p.m. When they arrived, they found a boat with its motor still running, fishing lines in the water, but no operator. Police tell CP24 they believe the boater is in the water, but has not been located. Several different agencies were involved in the search, including the Canadian Forces. The boater's identity has not been released, but police say he is a 32-year-old male.